Improved patient care and customer service coupled with greater collabration among stakeholders is key to move forward. For healthcare insitutions to become more flexible, they will also require systems that can modify themselves as per the changing senario. Knowldege acquisiton, refinement and distribution to promote best practices. 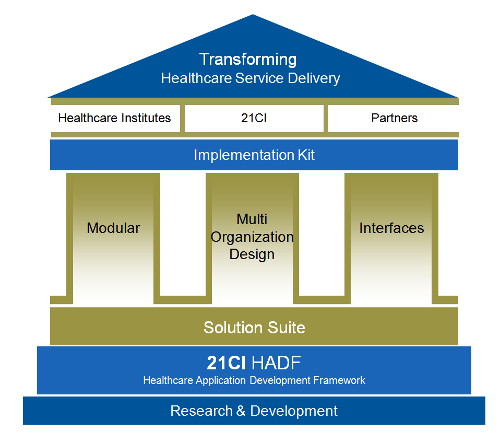 Our innovation strategy relies on fine balance of internal expertise and external partners (in healthcare service delivery) to develop solutions that will help in transforming healthcare service delivery. The combination of Technology with Service Delivery gives this an edge over others.